It is a soft detergent able to rebalance the natural physiology of hair and skin. Suited for the whole body, for hair and face. It doesn’t dry the skin, it doesn’t wash away the suntan and after rinsing leaves a pleasant sensation of softness. It contains natural mild detergent molecules extracted from coconut oil and rice starch which, together with hydrating and restitutive biolyipids, are a molecular mix useful and functional for the skin. It is a soft detergent able to rebalance the natural physiology of hair and skin. Suited for the whole body, for hair and face. It doesn’t dry the skin, it doesn’t wash away the suntan and after rinsing leaves a pleasant sensation of softness. It contains natural mild detergent molecules extracted from coconut oil and rice starch which, together with hydrating and restitutive biolyipids, are a molecular mix useful and functional for the skin. After rinsing can feel a pleasant filming sensation which gives softness and tone to both skin and hair. ORANGE EXTRACT (origin: Italy): the composition of essential oils has restitutive and purifying properties, and it also release a pleasant parfume. ALCHILPOLIGLUCOSIDI surfactant detergents, very mild, extracted from coconut oil and rice starch, 100% natural, which cleans gently, removing the impurities on the skin in a natural way. NATURAL BIOLIPIDS: they have a double function of re-establishing the correct hydrolipidic balance of the skin and giving smoothness to the skin after the rinse. VEGETAL WAXES: completely natural, they give the pearly aspect to the cream and give their contribution to the hydration of the skin after the rinse. PARFUME: this essence expresses the fascination of Sicily. Sunny, fiery, silent and caressed by the sea. The stingy parfume of agrumes mixes sweetly with the fragrance of Hibiscus and Jasmine. 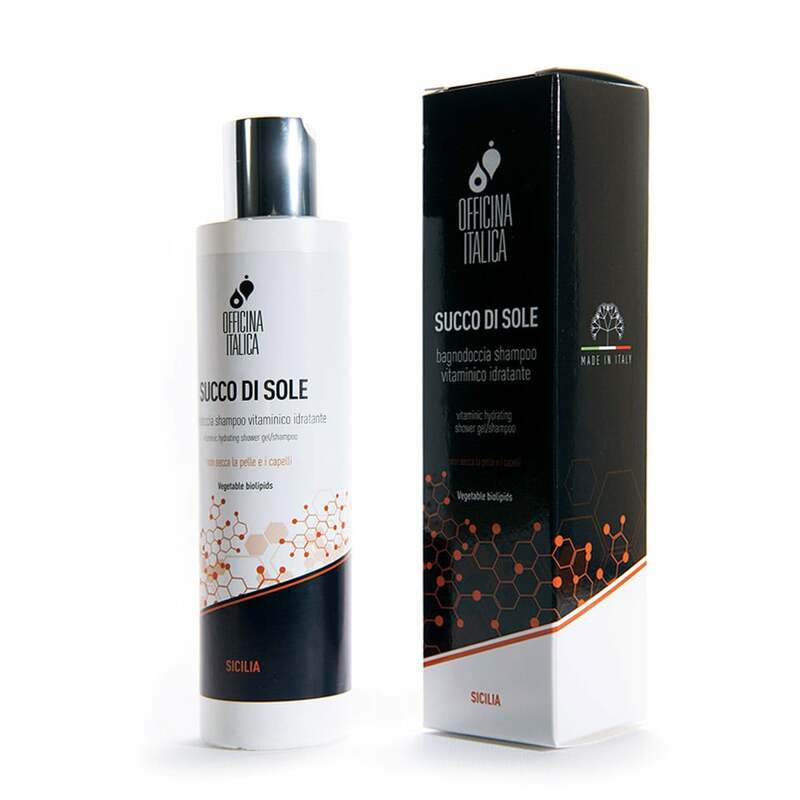 Optimal balance between foam power and cleaning power, fundamental to assure deep cleaning without removing the hydrolipidic layer of the skin. It leaves the skin soft and hydrated after the rinse.